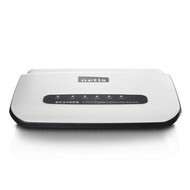 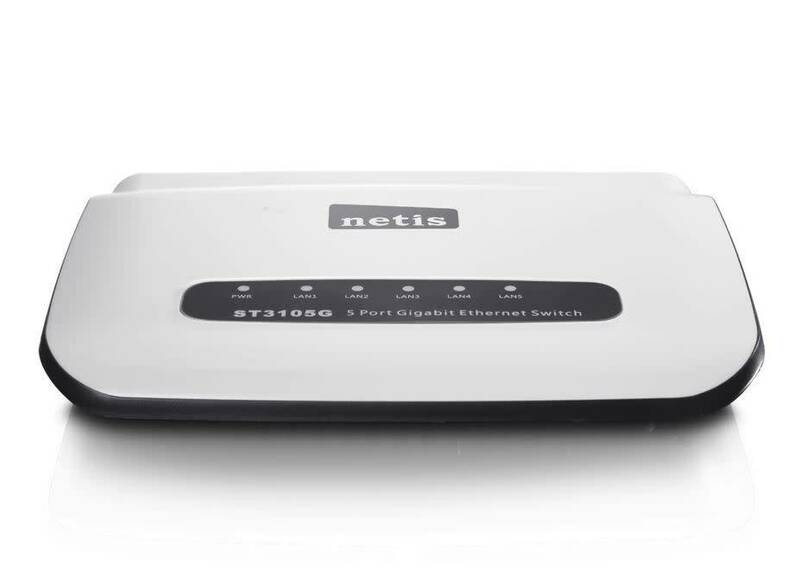 NETIS ST3105G Unmanaged 5 Port Gigabit Ethernet Desktop Switch - NWCA Inc. 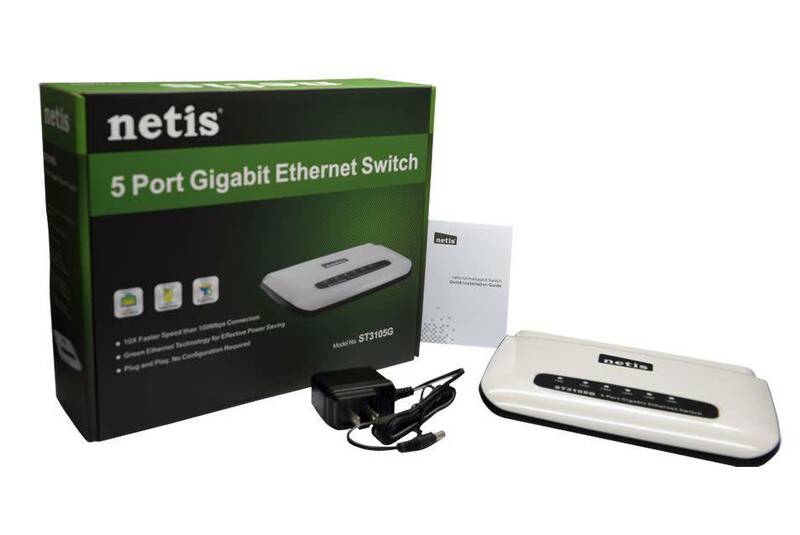 The Netis ST3105G Unmanaged 5-Port Gigabit Switch provides Auto-Negotiation on all 5 RJ45 Ports. All ports support Auto MDI/MDIX function, eliminating the need for crossover cables or uplink ports. 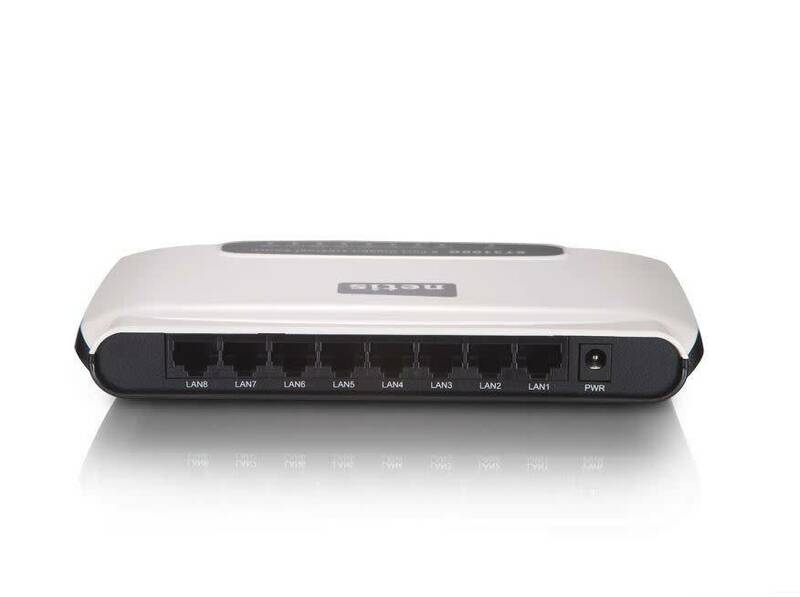 Together with the plug-and-play & Green Power feature, it will provide you with a low-cost, easy-to-use, high-performance, seamless and standard upgrade to improve your old network to a Gigabit Network.